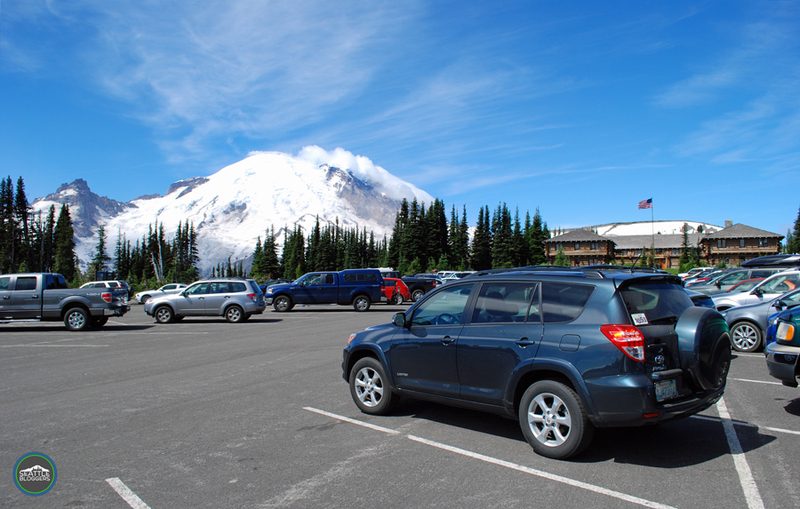 There are several places you can head to on a Mount Rainier day trip: Longmire, Ohanapecosh, Paradise are a few visitor centers. But there’s something special about Sunrise. With magnificent views of the mountain, miles of hiking trails, and incredible meadows filled with wildflowers, Sunrise is a can’t-miss spot in Mount Rainier National Park. Located on the northeast side of Mount Rainier, Sunrise is a little more than two hours from Seattle. 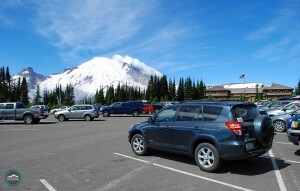 When Tove and I visited Sunrise, we were actually posted up at Crystal Mountain Resort for a short summer getaway. 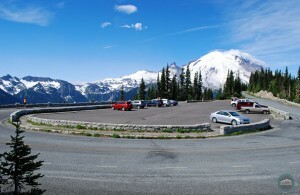 The drive from Crystal Mountain to Sunrise is only about an hour. I do need to give fair warning, though. Due to weather, the road to Sunrise typically opens in late June or early July and closes in late September to early October. That means there’s only a short window to enjoy the area. Click here to check the road conditions. The drive to Sunrise is impressive in its own right. There are a couple different stops we recommend along the way. Be sure to check out the columnar lava. What’s that, you ask? As you’re driving toward Sunrise from the White River Campground, keep your eyes peeled to the left. 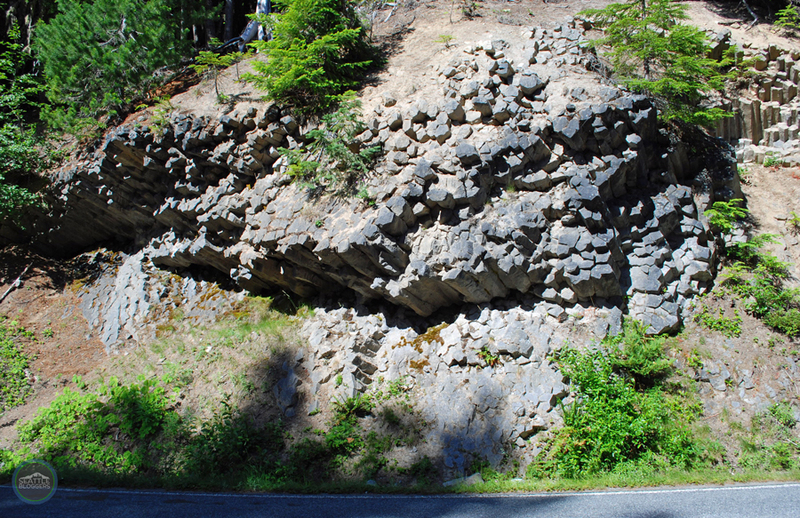 That’s where you’ll spot the unique rocks that were once formed by an ancient Mount Rainier lava flow. Be careful — they’re easy to miss. As for Sunrise Point, it’s impossible to miss. Offering almost 360-degree panoramic views of Mount Rainier, the Cascade Mountains, and Sunrise Lake, it’s a must-stop on your Mount Rainier day trip. So, what makes Sunrise so special? 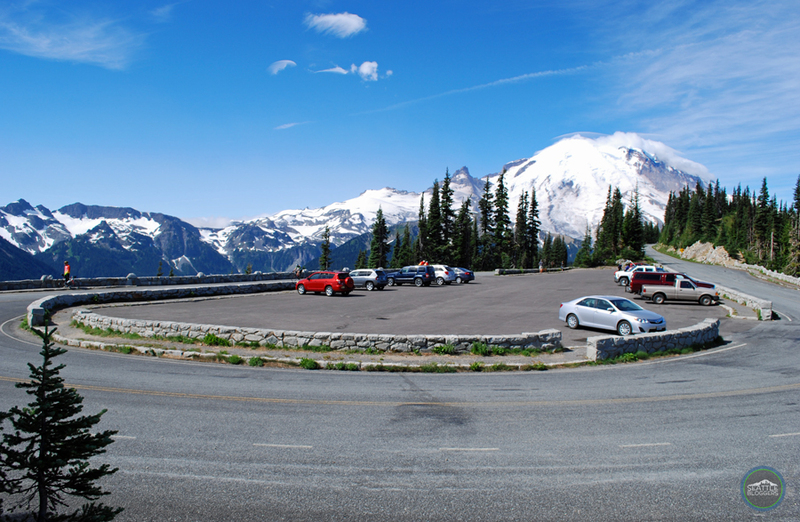 Here’s one of the simple answers: Sunrise is the highest elevation you can reach by vehicle in Mount Rainier National Park; located at an elevation of 6,400 feet. That means you get mind-blowing views of Mount Rainier on a clear day, and it’s one of the reasons Sunrise is the second most visited spot in the park (only behind Paradise). At Sunrise, you’ll find a visitor center with exhibits, guided programs, and a nice picnic area. We also recommend stopping there before you go hiking in the area. Even though it’s the heat of summer, there is still snow on some of the trails at Sunrise. 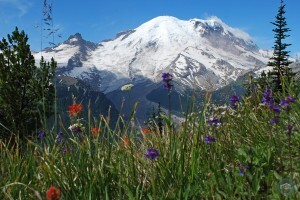 Check with the rangers at the visitor center for which hikes would be best for your Mount Rainier day trip. You can also swing by the Sunrise Day Lodge for food and a gift shop. There’s no overnight lodging at Sunrise, but the White River Campground is nearby (about 12 miles away). Tove and I did a couple different hikes on our day trip to Sunrise. We started with the Silver Forest Trail, which was much more of a stroll than a “hike.” The easy two-mile round-trip adventure only climbs 150-feet and takes about an hour to complete. 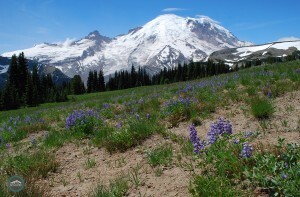 The Silver Forest Trail guides you through a wildflower meadow and offers amazing views of Mount Rainier. 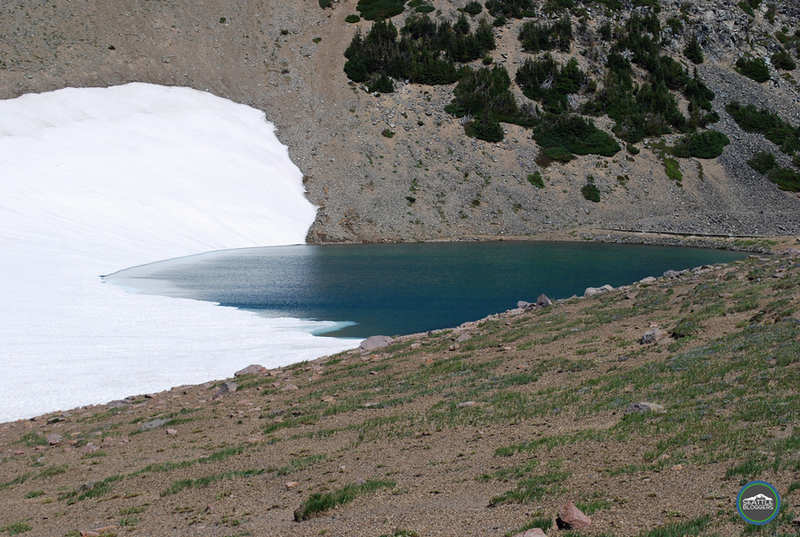 After our trip on the Silver Forest Trail, Tove and I hiked along the Sourdough Trail to Frozen Lake. This moderate hike is about three-miles round-trip with an elevation gain of 500′, so it’s far from grueling. Not to take away from a very enjoyable hike with great views of the mountain, but the payoff isn’t huge at the end. Frozen Lake is honestly nothing to write home about (PHOTO). 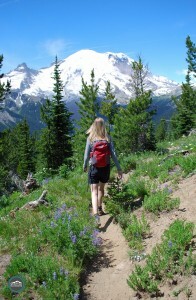 There are miles upon miles of hiking trails at Sunrise, ranging from easy to strenuous. 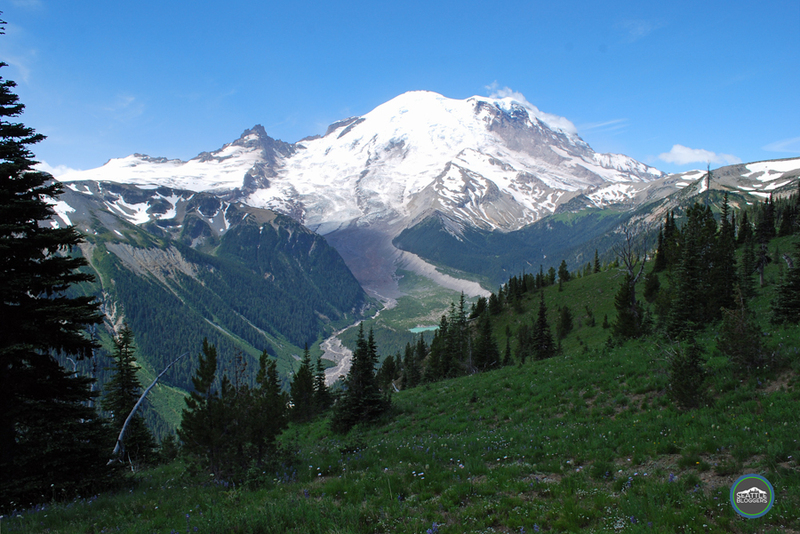 Again, we recommend asking the rangers at the Sunrise Visitor Center which hikes best suite what you’re looking for. Sunrise is an awesome location for a Mount Rainier day trip. Even though it’s the second most visited area in the park, it’s still relatively quiet compared to Paradise. Plus, there’s plenty to keep you busy while you’re there. Let’s be real — no matter where you go, you can’t go wrong with a trip to Mount Rainier National Park. It’s easily one of our favorite places to visit. Have you ever checked out Sunrise? How was your experience? What hikes did you do? We’d love to hear all about it! Please leave a comment below or connect with us on Twitter, Facebook, and Google+. 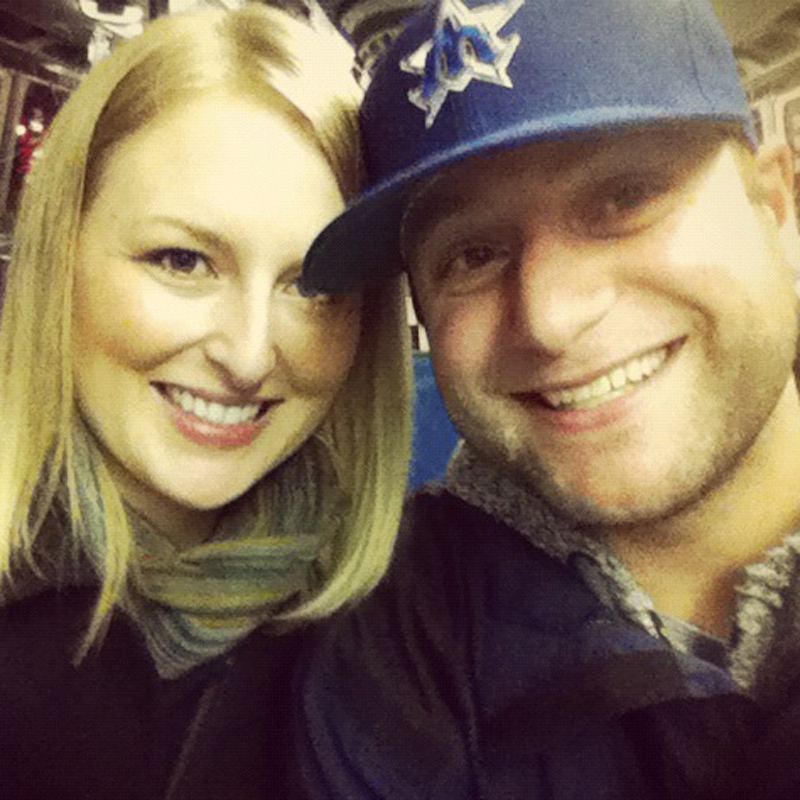 Don’t forget to also visit Seattle Bloggers for more fun adventures in and around the Emerald City.